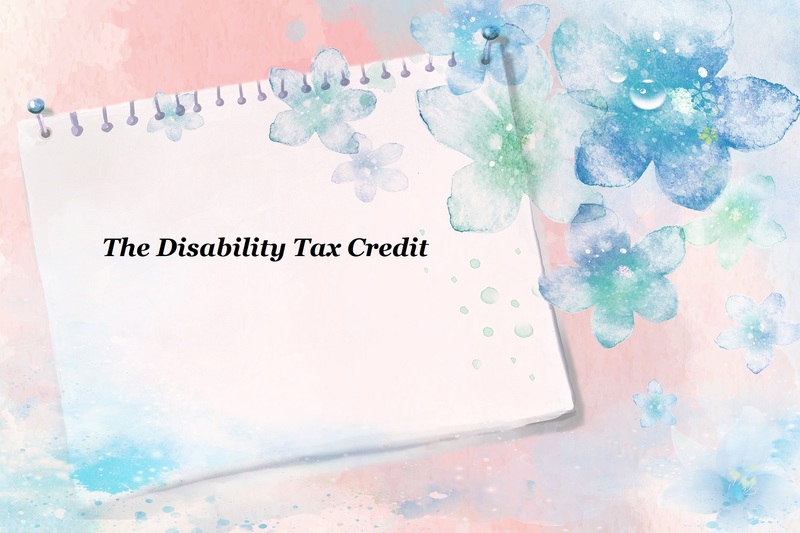 The disability tax credit (DTC) is a non-refundable tax credit that is claimed on your personal tax return if you, a spouse or a child qualifies for it. A non-refundable tax credit means that the credit can reduce your income taxes to $0 but any unused part of the credit is lost. If you have no taxable income, or your taxable income if offset completely by other credits, the disability tax credit will have no impact on your tax return. Non-refundable credits are claimed at lowest tax rate. For example, federally, the lowest tax rate is 15%, so a $1,000 federal tax credit saves $150 in taxes. How does the DTC affect your taxes and benefits? The disability tax credit is claimed on “Schedule 1 Federal Tax” and on the provincial tax schedule (in Ontario it is ON428). For 2018 the maximum federal disability amount will be $8,235 and there is also a supplement for persons under 18 years of age, and for 2018, the supplement is $4,804. Each province also has a disability tax credit. In Ontario, if you have a child that qualifies for the disability tax credit, and that child had no income or child care, then a total credit of $13,039 and the provincial equivalent would be transferred to one of the parents, and the potential tax savings is $2,600 to $3,000. The reason that there is a range is because of the Ontario surtax which is reduced when the DTC is claimed. If you paid for child care or attendant care for the child that qualifies for the disability tax credit, when the amount of care exceeds $7,500, then the supplement cannot be claimed. However, you can still claim the $8,235 credit. If you paid child support, you cannot claim the disability amount for that child, the other spouse would have to make the claim. There is also an extra amount that can be claimed for a child that CRA refers to as an infirm child. This is the Canada caregiver amount, for 2018 is $2,182. For this credit, you would not need to apply for the DTC, but you may need a letter from the child’s doctor. When a child is eligible for the disability tax credit, and is eligible for the Canada Child Benefit, there is a child disability benefit. This is a tax-free benefit of up to $2,771 per year for children under 18 years of age. The amount of the benefit depends on the family income. Here is a link to Canada Revenue Agency’s child and family benefits calculator so you can get an idea of how much the total benefit would be. For adult children that have a disability and are dependent on the parents for support, the $8,235 disability transfer can still be claimed. However, if the dependent’s has taxable income, the credit might be reduced. For adult children there is no disability supplement, but a parent may be able to claim the Canada caregiver credit if they are supporting the adult child and the child has a physical or mental impairment. The maximum amount of the credit is $6,883. If a person under 60 qualifies for the disability tax credit, this allows them to open a registered disability savings plan. The Registered Disability Savings Plan (RDSP) is a long-term savings that helps people with disabilities and their families save for the future. If you have an RDSP, you may also be eligible for grants and bonds to help with your long-term savings. I wanted to briefly touch on Qualified Disability Trusts. Some parents that have a child with a disability may have set up a trust in the will for that child. If the child has been approved for the DTC, then the trust may be a Qualified Disability Trust and can be taxed at graduated tax rates instead of at the tops rates applicable to most trusts. To apply for the disability tax credit, you download form T2201 Disability Tax Credit Certificate, from Canada Revenue Agency website. It is a two part form, you complete Part A which identifies the person with the disability, identifies who will claim the disability amount, whether you would like CRA to automatically adjust the tax returns, and then you sign the authorization, that allows CRA to contact the medical practitioner and to adjust your returns if applicable. The second part of your form is filled out by a medical practitioner that is treating or familiar with the person with the disability. This part is divided into 10 sections: vision, speaking, hearing, walking, eliminating, feeding, dressing, mental functions necessary for everyday life, life sustaining therapy, cumulative effect of significant restrictions. The medical practitioner will only complete the sections that are applicable. Then there is a section on effects of impairment and the duration of the impairment and the medical practitioner completes the certification area. It is really important that the T2201 be completed as thoroughly as possible and provide as much information as possible. Most medical practitioners take the time the complete the form, but I have seen some really sloppily prepared forms, and this decreases the chances for approval. I recommend printing an extra copy and completing the form yourself first, to obtain a good understanding of what information CRA is looking for. Beware of companies that offer to help you get the disability tax credit. They charge nothing up front, but if you do receive the disability tax credit, they charge 30% or more of the refund. They often have a poor reputation, so if you do decide to use them, make sure you do the research. The government initiated a bill, the Disability Tax Credit Promoters Restrictions Act. This Act restricts the fees charged by promoters of the disability tax credit. Promoters that accept or charge a fee exceeding the maximum fee will be charged penalties. However, this Act has not yet been made law. What happens once you complete the T2201? Take a photocopy of the T2201 before sending the original to CRA. On the T2201 form, there is a list of addresses depending on where you live. For Ottawa, the form is sent to the Sudbury Tax Centre. CRA does not post any service standards for completing the processing of the T2201, but in my experience it is about 2 to 3 months. CRA will send you a letter letting you know if the person is eligible for the credit, and the years for which they are eligible. For the Child Disability Benefit CRA usually goes back two years, but you can send a request with the T2201 to ask for CRA to go back to the year that the child was eligible. If CRA denies the disability tax credit, you can you can write to your tax centre and ask them to review your application. You must include any relevant medical information that you have not already sent, such as medical reports or a letter from a medical practitioner who is familiar with your situation. This information should describe how the impairment affects the activities of daily living. You can also file a formal objection to appeal the decision. The time limit for filing an objection is no later than 90 days after CRA mails the notice of determination. You can claim the disability tax credit on future tax returns up until the date CRA has indicated in the letter confirming eligibility. You do not need to submit the T2201 every year. In the year that the disability tax credit will expire, I recommend submitting a new form around June to allow enough time for CRA to make a determination whether or not you can continue to claim the credit. I hope the above information was helpful and provided some clarity about the disability tax credit and the process of applying for and claiming the credits.